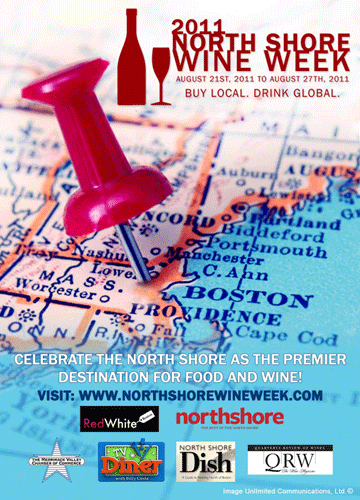 We’re excited about this weekend, which marks the start of the first annual North Shore Wine Week. The kickoff party is Saturday at Wine ConneXtion; information on the event is here. Andover’s Brasserie 28 will be serving up food samples that day, and Chef Matt Morello is the culinary chair of the entire event. Morello said the theme behind his offerings at the kickoff party is smoke. One non-traditional element of each dish will be lightly smoked, including bourbon and tomatoes. At the restaurant, which Morello owns with his wife, there will be four flights of wine from its Napa wine station, which keeps wine temperature controlled and under pressure with argon gas, rather than in bottles. “This lets us offer amazing wines that most people can only buy by the bottle. It’s the freshest glass of wine—like opening a new bottle every time,” said Morello. The Serenitee Restaurant Group is varying its Wine Week offerings by restaurant. At Alchemy in Gloucester, Sommelier Matt Rose has created a tapas pairing menu and is offering wines by the glass from the cellar list that are only available by the bottle during the rest of the year. At Latitude 43, you’ll find a raw bar pairing menu featuring oysters and sushi. And at Hamilton’s 15 Walnut just before the event (Thursday night), there’s a $50 five-course farm dinner with half glass wine and beer pairings for every course for $3 each. The complete schedule of events is here, and if you make it to the kickoff party on Saturday, please make it a point to say hello–we love to meet readers and talk about our favorite restaurants.